Thought water-based adventures were just for the summer months? Think again! You’ll find the ocean-mad team at Newquay Activity Centre togged up in wetsuits, sharing their expert tips in everything from surfing to stand-up paddle boarding 360+ days a year (including throughout the Christmas holidays). On New Year’s Eve they’re rallying up the locals for a charity ‘Cornish Castaway‘. Take the plunge with them as they coasteer around the coast, paddle their huge stand-up paddleboards through caves and then use bushcraft skills to build a fire and toast marshmallows. 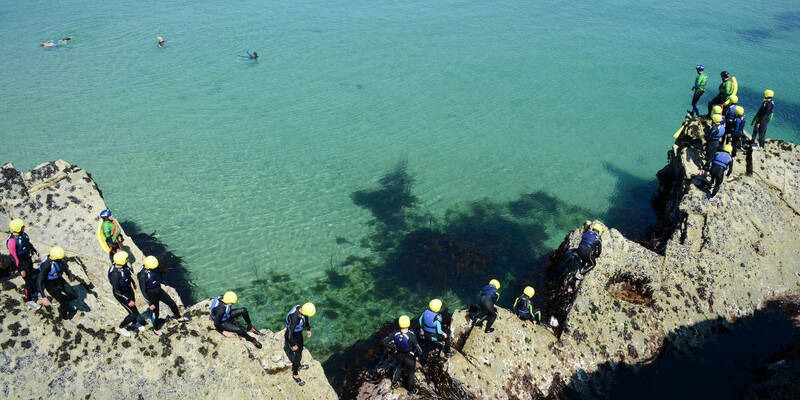 You’ll not only experience the beautiful coastline around Newquay in the most thrilling way possible, but also raise money for SSAFA, the Armed Forces charity and RNLI. 31st December from midday. £45 per person, or an affordable charity donation. Please call 01637 877722 to book. Fancy waving goodbye to 2018 as your fave film star or seeing in the New Year as Superman? You’ll be right at home in St Ives. Join the throng of weird and wonderful revellers who cram the narrow streets and get caught up in the truly awesome party atmosphere. Live bands, street food and fireworks – it’s all going on. 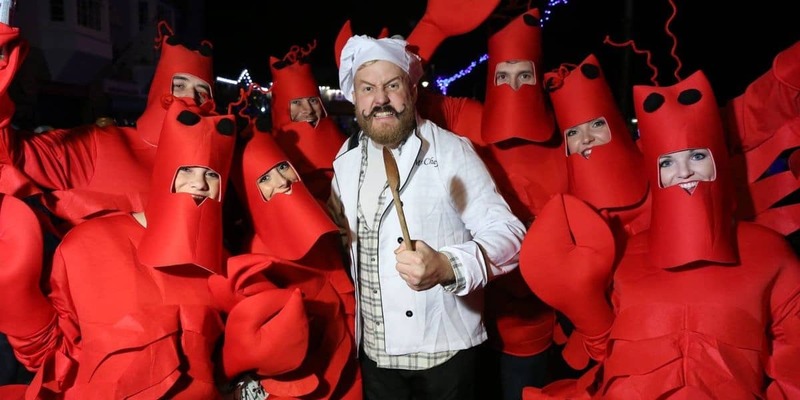 This is where fancy dress gets serious and the party goes way beyond midnight. It wouldn’t be NYE without fireworks and Falmouth is the place to see them. 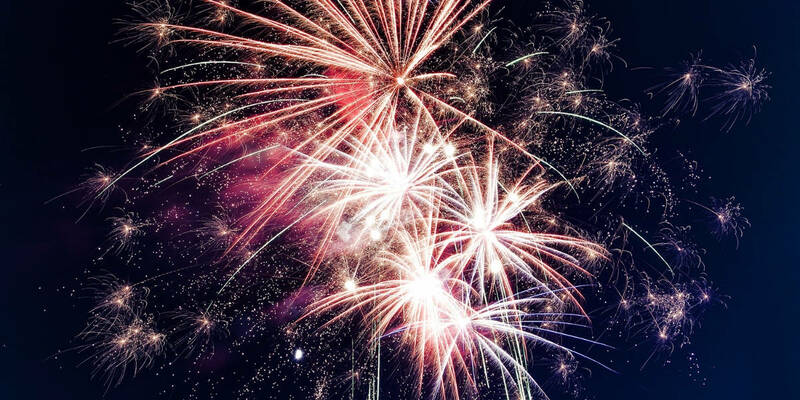 They’ll be firing from iconic Pendennis Castle on the chime of midnight and casting a myriad of sparkling colours across the bay and harbour. Viewing spots will be right around the town so pick the vibe that’s right for you – join the party atmosphere in the buzzing main streets or snuggle up in a blanket and catch them from the beach. Or why not venture to The Greenbank’s very own New Year’s House Party? Promising a celebration to remember, our New Year festivities are sure to put the sparkle into 2019’s arrival. 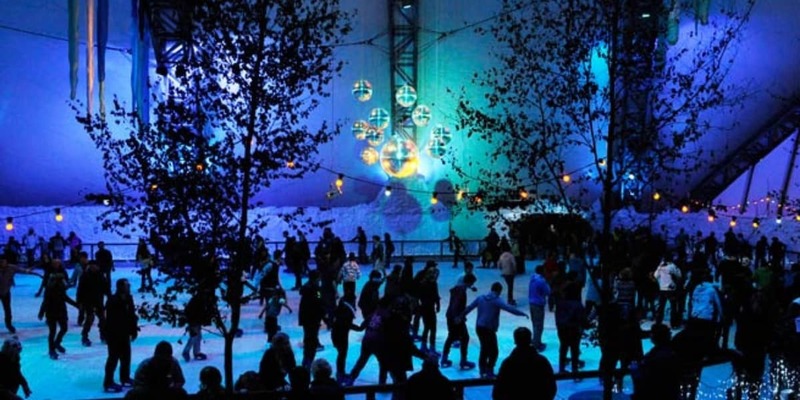 Whether you whizz, inch or tumble your way around the glittering ice skating rink at the Eden Project, you’ll be doing it with a huge smile-till-your-jaw-aches grin. This is one for the whole family to enjoy and, courtesy of Eden’s legendary magic, is a NYE’s activity you’ll be revisiting year after year. The rink-side chocolate drizzled crepes and warm churros are worth it alone. Delish! Sessions are available from 11am until 3pm. Advance booking advised. Sunsets in Cornwall are pretty special. Seeing the horizon ablaze in a mesmerising mix of red, gold and orange is a must-do experience whatever the date. But when it’s the last sunset of the year, the wow-rating sky rockets. 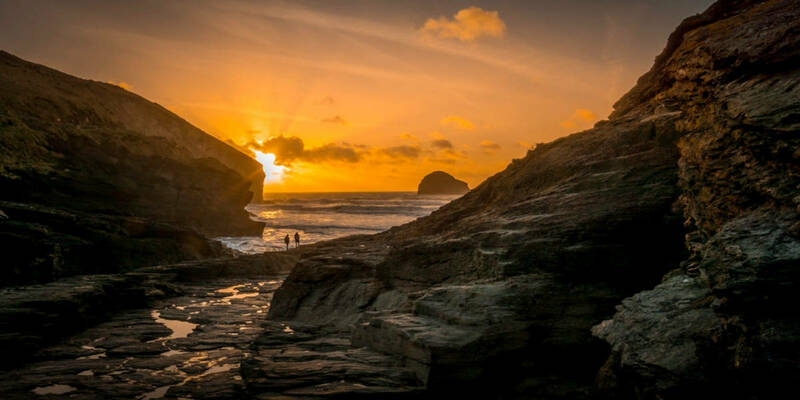 Grab a spot anywhere along the north Cornish coast and you’re in for a treat, but for the best view in the house Watergate Bay and St Agnes Beacon are hard to beat.